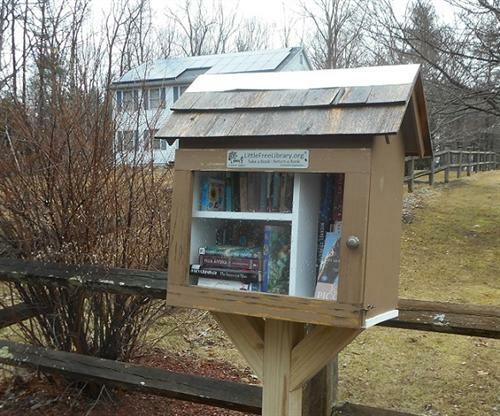 I got this softcover in this Little Free Library in Groveland, MA while dropping off some books of my own. I'd been wanting to read it for some time, so I was pleased to stumble across a copy! Later: Very... unusual book, with its mix of spirits-hanging-out-at-the-cemetery and the all-too-real grief of President Lincoln after the death of his son Willie. The story unfolds through the eyes of a few of the spirits - including young Willie himself - as they wonder why they're here, what if anything happens next, and whether it's possible for the grieving father to hear his son's replies from across the barrier of death. Other subplots include visits from strange beings who try to move the spirits along; are they angels, devils, or some of each? And what do the spirits need to do to take their next steps - assuming they even want to? Some interesting mixes of afterlife beliefs here, with more than a few nods (whether intentional or not I don't know) to C. S. Lewis' The Great Divorce. 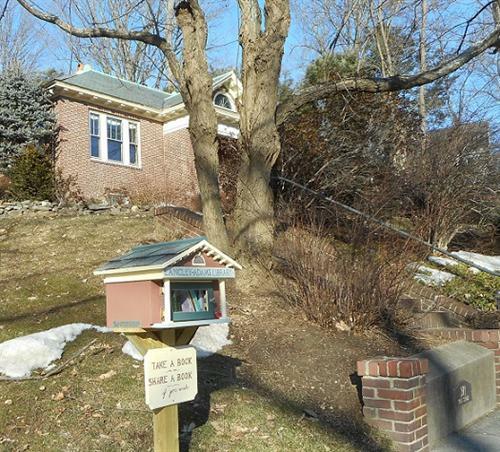 I left the book in the Little Free Library in Pepperell MA; hope the finder enjoys it!